A Pointblank Picture. Interview Films Pty. Ltd. 1998. Director: Craig Monahan. Composer: David Hirschfelder. CD (ST) Festival / Best Boy. D31903. 1998. Composer: David Hirschfelder. Engineer: Chris Scanlin. Assistant Music Director: Sam Schwarz. 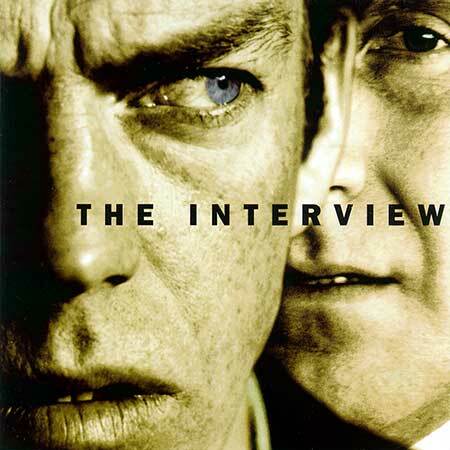 01: The Interview (Main Theme). (8:10). 02: Can Somebody Please Help Me? (3:00). 03: Who Are You. (3:40). 04: I Need This Checked. (2:04). 05. Looks Like A Lot Success. (3:29). 06, I Can Eat While I Talk. (7:23). 07: There Goes Your Man. (7:29). 08: I'm No Killer. (2:23). 09: The Accuser Becomes The Accused. (5:55).